The delight of feeling somehow indoors while outside. A protective overhead, designed to shelter from bright rays of sunshine (or, as more often the case in England, a summer rainshower). We are talking Pavilions, cherished retreats for that ‘l’Heure Bleue’, a place to unwind, to relax, to read. 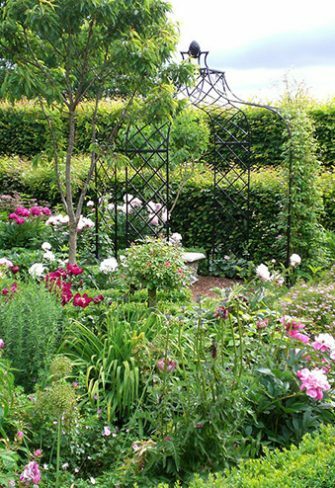 A refuge to enjoy a garden’s finest pleasures. 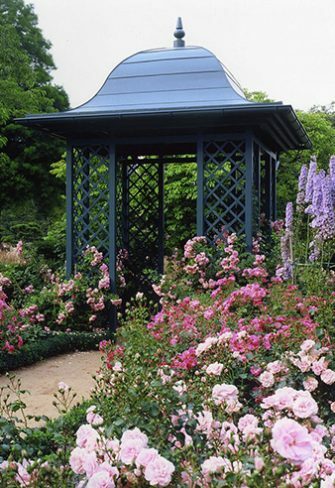 The very idea of a pavilion is tinged with a sense of regality. Coming from the Latin ‘papilo’, meaning ‘pleasure tent’, the etymology of the word conjures the bucolic, spacious nature of the countryside. At their rural best Pavilions are a championing of breezy summertime leisure; an embracing of and mastery over the outdoors. Surrounded by and enhancing the pleasure of another favourite British past-time: gardens. The pavilion allows us to delight in the smells, the sights and the sensation of the English garden no matter what the weather. Some pavilions even allow themselves to be covered in plants. Our ‘Sissinghurst’ and ‘Kiftsgate’ Pavilions e.g. 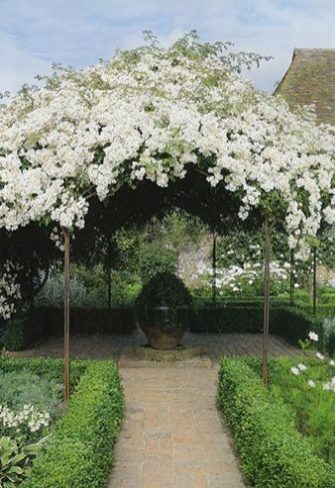 grant space to fragrant, colourful climbers: roses, honeysuckle and clematis. The rather stately ‘Wallingford’ Pavilion is based on an original at Wallingford, Vermont.